Enprise delivers leading-edge business intelligence reporting and forecasting solutions for your business. Enprise can help you achieve self-service reporting quickly and easily, including all legacy data. There is a huge range of Business Intelligence reporting and forecasting solutions on the market. Enprise customers already have a lot of the spade work done for them, because Enprise does not sell business intelligence products that are only average, or known to have difficulties. When we ask customers what their ‘Top 5’ reports are, every customer gives a different answer. Their answer depends on their business. Manufacturers, importers and retailers all want different reports. If you use MYOB Advanced or MYOB Exo, we’ll tell you the best, most cost-effective way for your business to get the reports it needs. You may be wisest to just tweak an existing system, or automate some functions. You may benefit from a fresh approach. We’ll take a careful look and give you our expert opinion. Reporting is a pain point for many businesses, but now there’s an easy way through – take advantage of our great free offer. This free offer tells any user of MYOB Advanced or MYOB Exo the best, most cost-effective way to get the reports they want. 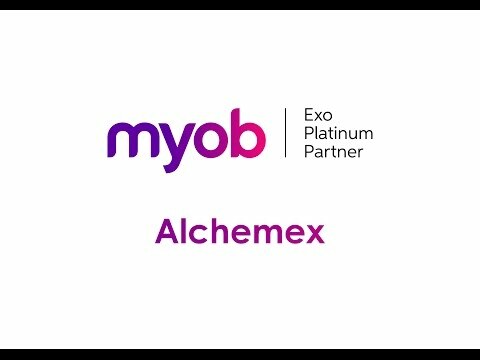 Enhance your MYOB Exo reports with Alchemex 4 Exo. Automate scheduled reports from MYOB Exo, easily customise template reports using Microsoft Excel and create your own dashboard reports with Alchemex Intelligence for MYOB Exo (aka Alchemex 4 Exo). This is intelligent reporting for MYOB Exo Business in a packaged solution powered by Sage Intelligence. Six weeks after implementing Alchemex 4 Exo, fluid supply specialist AUSblue was running complex reports in around ten seconds & creating business analysis reports on demand.